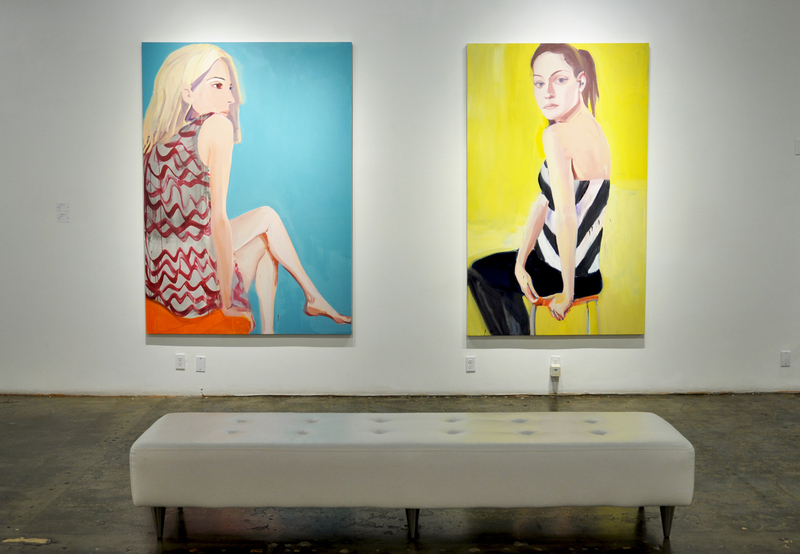 La Jolla February 12, 2015— Madison Gallery is pleased to present new work by Toronto based artist, Shelley Adler exploring the female figure. From early cave painting to the Mona Lisa and Andy Warhol portraiture is a formidable artistic tradition. Shelley Adler’s paintings of people’s faces are not portraits in the strict sense of the word in that portraits are formulated primarily as likenesses of the sitter. In Adler’s painting, the face is a springboard to a luminous and freeform tableau. They are less about the sitter than the internal processes of the artist and her intense curiosity about people, about the ways of looking, and about the act of painting. These considerations are delicately balanced to reflect a deep humanism. With generous brushstrokes and vibrant planes of light, Adler forms the face into an elemental and iconic essence. Each painting is endowed with a particular, individual energy through color and composition. Color and its link to emotion is a primary concern and although Adler employs eccentric, non-naturalistic color, the faces have a very real quality. Like David Hockney, Adler often paints people she knows. For Hockney, capturing a subject’s likeness, and especially his or her personality, can only be properly done with the human touch, or as he says, “it has to be directed through my heart to my eye to my hand.” More so, Adler’s oil paintings are commanding in their painterly exuberance and stunning range of color. Using fragments of contemporary life, Adler’s psychological portraits explore gender and identity, creating a balance between interior and exterior worlds. 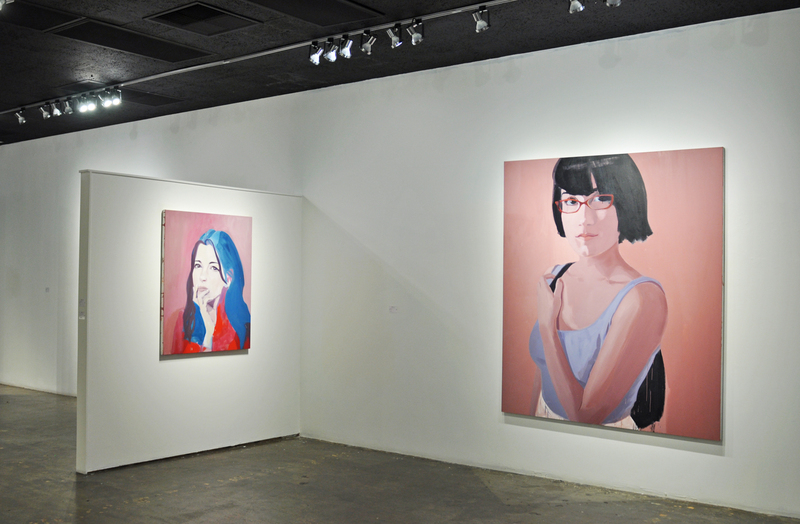 Perspectives will feature eight medium to large scale oil paintings of female figures. In addition to her portraits, Adler will also present one of her atmospheric paintings of an interior table setting in a large-scale diptych format. This will be Shelley Adler’s first solo exhibition with Madison Gallery. 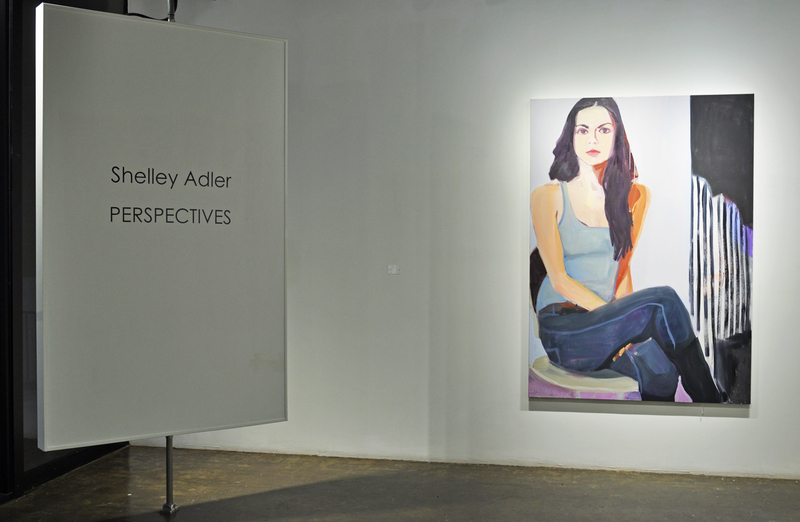 Shelley Adler has exhibited widely throughout Canada. She has had solo shows at Nicholas Metivier Gallery, Toronto (2006, 2009), Andrea Meislin (2008) and has participated in group exhibitions in Vancouver, Toronto and Montreal, including Sarah Myerscough Fine Art, London (2008). Adler received her MFA from Boston University in 1987. She graduated from York University in Toronto in 1983 and attended Edinburgh College of Art in Scotland in 1982.